Achieving a thriving school culture takes more than an app and requires leadership to cultivate mindsets, systems, practices and data to implement change long-term. 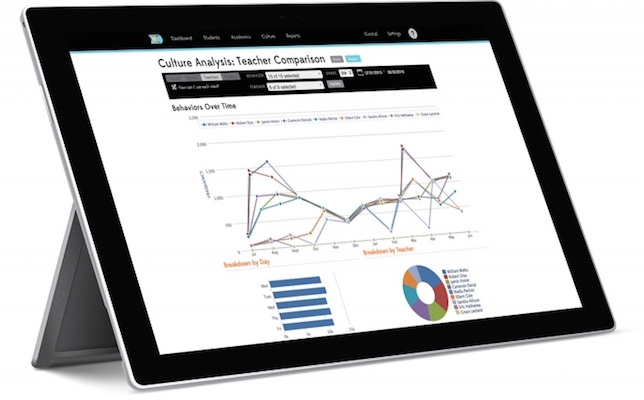 In an effort to help K–12 districts develop a sustainable framework for school culture, Kickboard has expanded its professional development services, which coach school teachers and administrators to use its school culture system. Phase 3: Improving student and teacher support systems, like instituting peer culture walks to help educators assess and better respond to student behavior needs. St. Louis Public Schools (SLPS) piloted the total solution last year, after the district banned suspensions for its youngest students (preschool to second grade), St. Louis Post- Dispatch reported. The idea behind the ban was to remove punishments that take students out of school, and instead look into what emotions caused the bad behavior in the first place. If a student started a fight, for example, they might be asked to do mindfulness yoga to reflect on their emotions. SLPS schools set up “safe spaces” or “cool-out corners” stocked with pillows, books and other stress-relieving items. With Kickboard, teachers were able to reward good behavior as well, assigning “Kickboard dollars” that students could redeem for a book or lunch with the principal, according to the report. Furthermore, Kickboard’s analytics offered behavior data that provided insight into whether the culture shift was working or not. “Four years ago, during my first year teaching here, we had over 200 suspensions. Since then, we’ve dramatically reduced the number of suspensions. This school year, in our first semester with Kickboard, we had only 3 out-of-school suspensions,” an elementary school teacher and team leader at Lyon Academy at Blow in SLPS told Kickboard. “Whether districts or schools are just beginning this work or are further along, we can meet them where they are and guide them in a continuous cycle of improvement toward the positive culture outcomes their students and staff deserve,” said Jennifer Medbery, Kickboard founder and chief product officer, in a prepared statement. To learn more about the professional development services, visit the Kickboard site here.